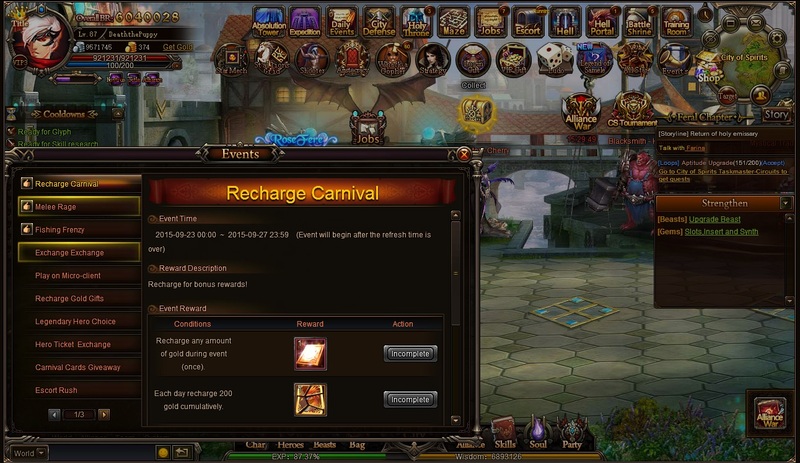 The Carnival event button isn\'t showing up. I\'ve refreshed a few times already and still nothing. Hi player, thanks for the report I will forward this with the devs. 2019-4-21 14:53 GMT+8 , Processed in 0.080766 second(s), 38 queries .